William is a depressed biologist and seed merchant in England 1852. Now he sets out to build a wholly new type of beehive, which will give him and his children honour and fame. George is a beekeeper in the USA in 2007 and fighting an uphill battle, but he hopes that his son can be the farm’s salvation. Tao works with hand pollination in China in the future, where the bees have disappeared. She wants more than anything else for her son to receive an education and a life that is better than her own. The History of Bees is an epic novel about the death of the bees. Three stories are interwoven, whereby past, present and future meet. Lunde works on a broad canvas in Bienes historie, depicting human beings’ initial humble attempts at beekeeping, the industrial agriculture of today and a future where the bees have died. The stories also explore people’s relationship to religion, to knowledge and in particular, to nature. 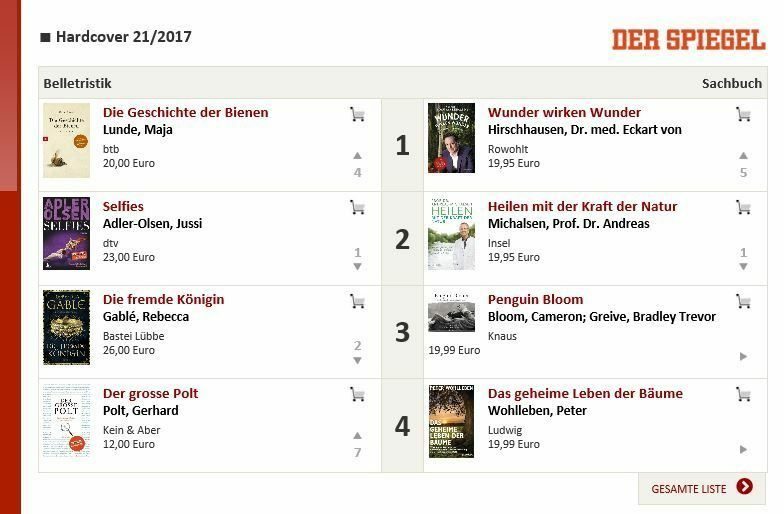 Bienes historie is a global novel with great relevance in a world where the climate is changing at an increasingly rapid pace. But underlying this theme are three powerful stories about relationships between parents and children. What the three main characters have in common is that they will do anything for their children. They want to facilitate things for them, ensure that their children have lives that are better than their own. I would describe “The History of Bees” as a cross between “The Hunger Games” and Margaret Atwood’s brilliant “MaddAddam” trilogy. It circles around the possibility of a global environmental catastrophe, but is replete with sensitive renderings of the relations between parents and children … There is an oscillation between the deeply personal dynamic of family relationships and the science fiction-like superstructure, which I really liked. 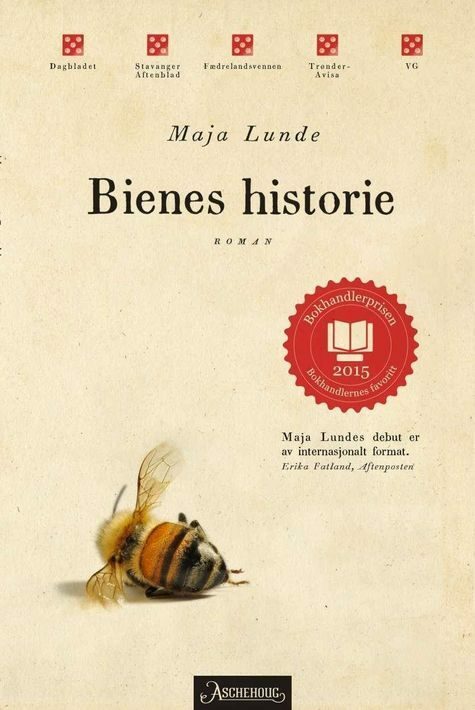 Character depictions are nuanced and scenes are brought into focus with a cinematic sharpness … “The History of Bees” is quite simply the most visionary Norwegian novel I have read since the first instalment of Knausgård’s ‘My Struggle’. Working on my second novel Blue, which will be published in Norwegian in October this year, it gradually became obvious to me I wasn’t done telling the story I set out to tell in The History of Bees, and that the lives of Tao, William and George are also part of something larger. A story that, when it is completed, will fill the four volumes I call The Climate Quartet. I realized I was nowhere near done writing about man and nature, neither had I stopped imagining a future where the consequences of the way we treat our wonderful earth has become ever more grave than what we see today. And from these thoughts, the idea of writing four, loosely connected books evolved, each one a stand-alone novel emphasizing specific, clima related themes: Insects, water, animals, and finally seeds and all things that grow. Each novel has parallel storylines that play out both in our time and somewhere in our not-too-distant future, in addition to gazing back at our past. All four explore humans in nature and the consequences of the choices we make, not only with regards to nature and the climate, but also the people around us. Because it is through the exploration of our closest boundaries – within families, between lovers, between parents and children – one best sees the reflections of the larger picture. Braz. 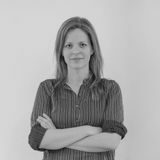 PortugueseEditora Morro Branco Ltda.